The Sydney CBD has had a lack of hotels, especially 5-star hotels that have been built after the Olympics, but this trend is changing. 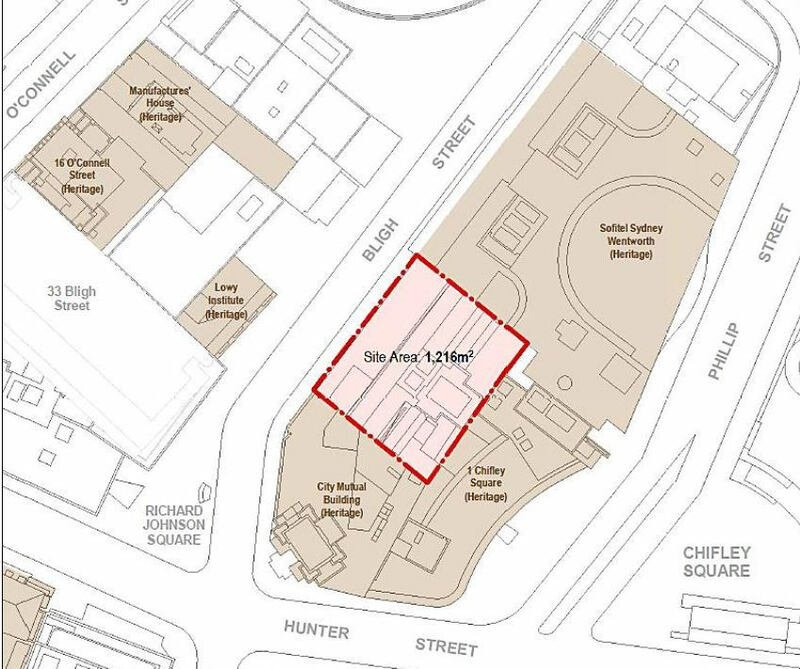 A concept proposal for 4-6 Bligh St in the Sydney CBD has been submitted to the City of Sydney which is the current location of Bligh House for a brand new hotel skyscraper. 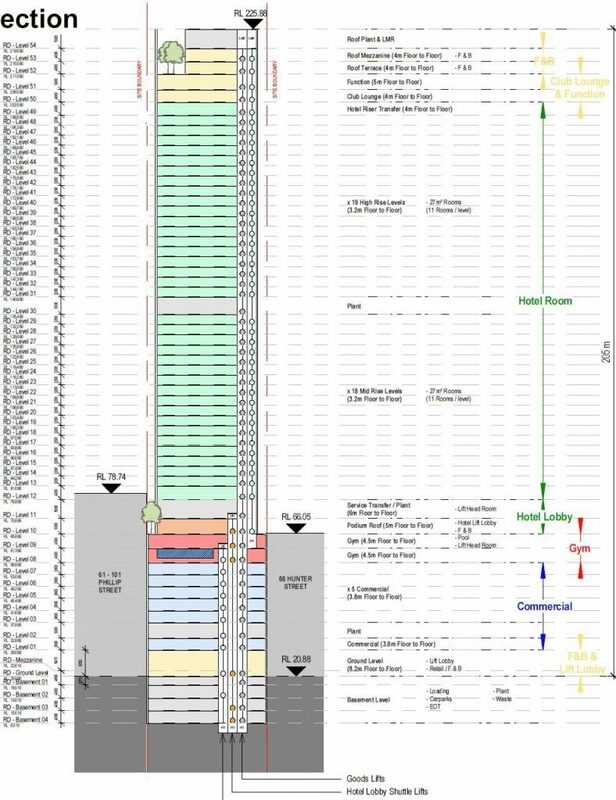 The tower will go to a height of 205m & be a total of 55 floors. This is quite a large tower & would be one of the tallest in the northern end of the CBD if were built. A 10 story podium which includes hotel entrance lobby, commercial lift lobby, food and beverage facilities, plant, commercial offices, meeting/conference rooms, gym space, and landscaped podium with formal hotel lobby. 37 levels of a hotel with each level including 11 rooms & containing a total of 407 rooms overall. Four levels at rooftop including hotel club lounge, function space, restaurant and bar, and publicly accessible landscaped terrace. 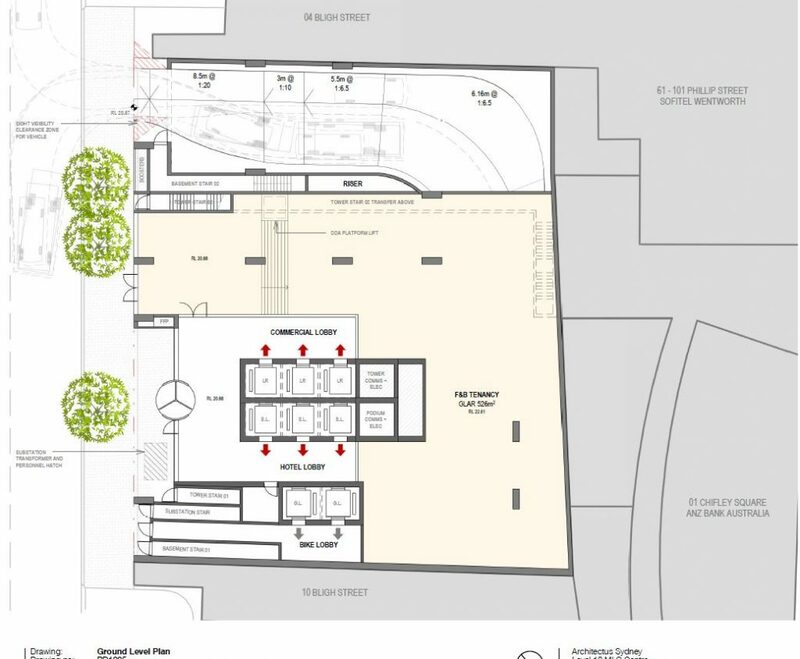 Four basement levels to be used as car parking space. The proposed development will have a total gross floor area (GFA) of 24,825sqm. It is expected that the hotel will be built as an affordable luxury & lifestyle hotel with a rating of between 4 & 5 stars. 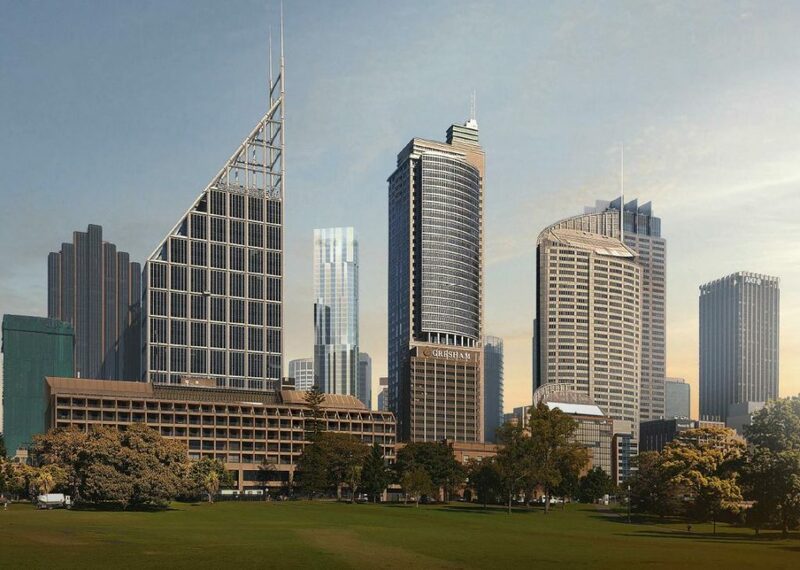 The Architect for the concept renders is Architectus, however, if this tower goes ahead then there could be a design competition between several architectural firms for the final design of what we are calling the Bligh Hotel Tower. 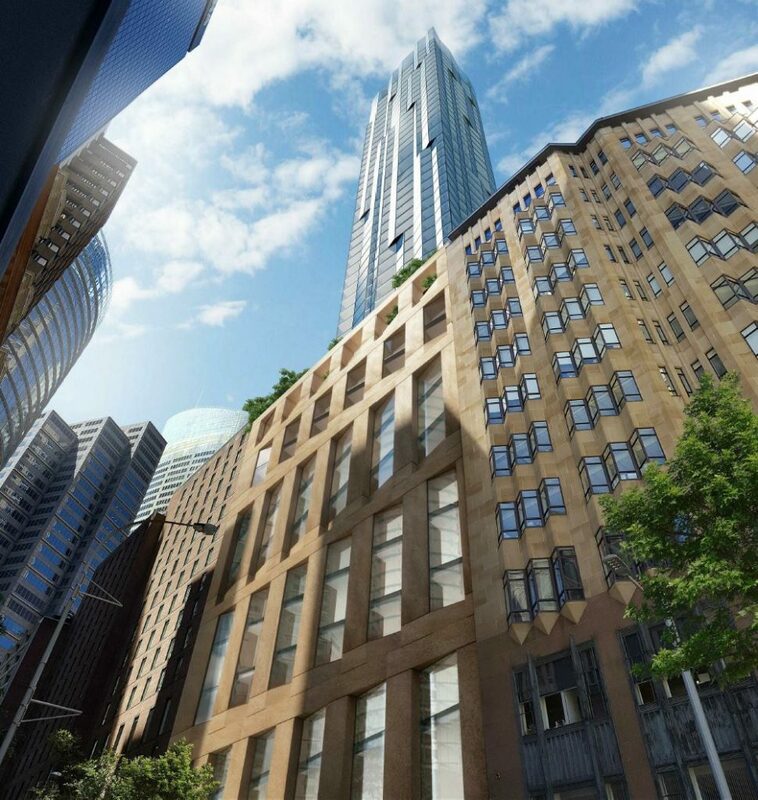 The location is spectacular being in the heart of the CBD, close to Circular Quay where there will be a cluster of new buildings such as the Quay Quarter Tower, The Circular Quay Tower & the Sydney Wanda One Tower. 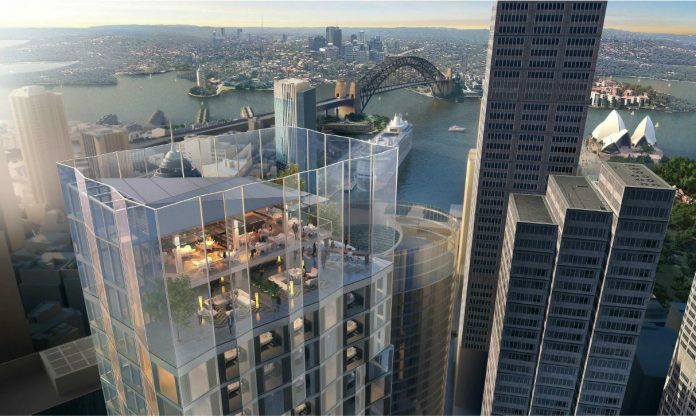 The tower will also contain spectacular views of Sydney harbour, which will be publically accessible thanks to the buildings rooftop terrace. The images are courtesy of Architectus & the City of Sydney. A spectacular location for what is going to be an amazing hotel, right in the heart of the Sydney CBD. This is a development to watch out for.